The Terms and Conditions contained herein govern your use of, and any purchase from Kelley Jewelers Website. Kelley Jewelers reserves the right to change or modify any of these Terms and Conditions or any policy or guideline of this Website in its sole discretion by posting such changes or modifications to this Website. Changes and modifications will be effective immediately upon posting to this Website. Your continued use of this Website following the posting of such changes or modifications constitutes acceptance of them. Therefore, you should frequently review these Terms and Conditions and any other applicable policies to understand the Terms and Conditions that apply to your use of this Website. If you do not want to be bound by the amended Terms and Conditions, stop using this Website. Product displayed on this Website is not always available for immediate shipping. While we make every effort to keep the Website current, product is constantly being sold and therefore available inventory is constantly changing. If you need a product shipped within forty-eight hours, we recommend that you contact the Website Customer Service Department at info@kelleyjewelers.com which should be able to tell you whether or not the product can be shipped in that time frame, or that you provide us with a cell phone number or other information that allows us to quickly contact you in case the item is no longer in stock. If a piece of jewelry is listed as being out of stock and you call us, we can usually tell you the date that it is expected to be back in stock. This Website prides itself at offering quality products at reasonable prices. We do not engage in price negotiation and all prices are final. Our prices are subject to change without notice because we operate in a market where prices can change rapidly. We also are not perfect and do occasionally make errors in entering data on our Website. While we make every attempt to avoid these errors, they occur. We reserve the right to correct any and all errors when they occur. When we notice an erroneous price prior to shipping a product, we will contact you and request your instructions as to whether you want the product at the correct price or wish to cancel the order. If the order has been shipped before we notice the erroneous price, you agree to either return the product or pay the difference between the actual and charged prices. If you elect to return the product, we will pay for shipping the product back to us and we will fully refund what you paid, including any shipping costs. If we notice that we have overcharged you for a product as a result of a pricing error, we will credit you for the difference. 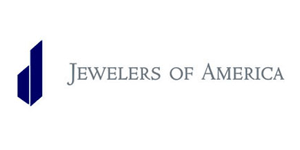 Please contact the Website Customer Service Department at info@kelleyjewelers.com if you have any questions. 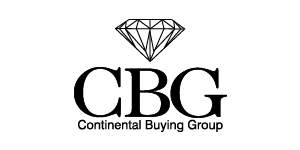 Every so often, you will not be able to find the precise combination of diamond and setting that you want on our Website. In such instances, you may make a specific request through this Website or you may call us at 580-772-3113 and we will make every effort to assist you. 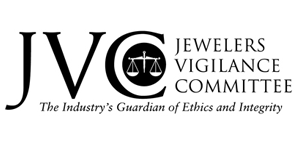 KELLEY JEWELERS SHALL NOT BE LIABLE FOR ANY CONSEQUENTIAL, SPECIAL, INCIDENTAL OR INDIRECT DAMAGES OF ANY KIND, REGARDLESS OF THE FORM OF ACTION, WHETHER IN CONTRACT, TORT (INCLUDING NEGLIGENCE), STRICT PRODUCT LIABILITY OR OTHERWISE, EVEN IF WE HAVE BEEN ADVISED OF THE POSSIBILITY OF SUCH DAMAGES. Orders placed Monday through Friday (excluding holidays) will be processed and shipped within 2-5 business days once credit card authorization and verification have been obtained. Orders placed on Saturdays and Sundays will begin processing the following business day. All customers will received a confirmation email with tracking information when the order has shipped. Ground: Will arrived in 3-7 business days. Express: Will arrive in 1-2 business days. Free ground shipping offer valid on all orders $100 or more. Orders under $100 ship for $10 via Standard Ground Shipping, using USPS or UPS and will arrive within 3-7 business days once shipped. Need it faster? For an additional $35, Kelley Jewelers offers Priority Express Shipping. As stated above, Priority Express packages arrive within 1-2 business days, depending on its destination. Priority Express packages require a signature upon delivery. 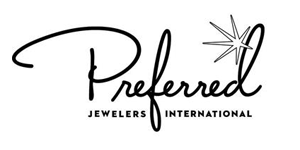 Kelley Jewelers offers Priority Express Shipping for an additional $35. Priority Express packages arrive within 1-2 business days depending on destination. Priority Express packages require a signature upon delivery. In Store Pick-Up is also an available option. Our store is located at 107 W. Main Street in Weatherford, Oklahoma. Credit cards: Use your Visa, MasterCard, Discover Card, or Synchrony. All packages sent via Standard Grond Shipping are insured up to $100. Packages shipped via Priority Express are insured for their full value. All orders sent via Priority Express Shipping require a signature, even if you have a signature waiver on file with the carrier. We only ship to the address on your creidt card or to an address that is on file with your credit card company as further protection against fraudulent charges. Kelley Jewelers provides FREE RETURN SHIPPING. You may request a pre-paid, pre-addressed return shipping label by emailing kelleys@kelleyjewelers.com. Any unworn merchandise you would like to return for a full refund must be sent back to Kelley Jewelers within 30 days of receipt of the product. Items are eligible for an exchange for up to 30 days after the receipt of the product. To exchange an item, simply return it and place a new order for the item you want via kelleys@kelleyjewelers.com or call 580.772.3113 and our web orders department will assist you. DO NOT write Kelley Jewelers or the name of any jewelry store anywhere on the outside of the package. Place the return lable on the package. Package Your Return. You must include EVERYTHING that came in your original package, including the original packaging material and any other materials. Upon receipt, merchandise will be sent to our quality control department. Any items that show signs of wear, have been engraved, sized, altered, damgaged or disclosed as 'ALL SALES FINAL' cannot be accepted. A restocking fee may apply if item is damaged. Special orders, modified and/or custom pieces are not refundable. Please allow up to 7 business days for your return to be processed. Business days are Monday-Friday except for federal holidays. Return processing begins after your package is delivered to us. For any inquires concerning returns or exchanges, please contact Customer Service via email at kelleys@kelleyjewelers.com or by phone at 580.772.3113 between 9:30am-5:30pm, Monday through Saturday, Central Time. If you are located near our showroom location - you can process an exchange for eligible items in-store.